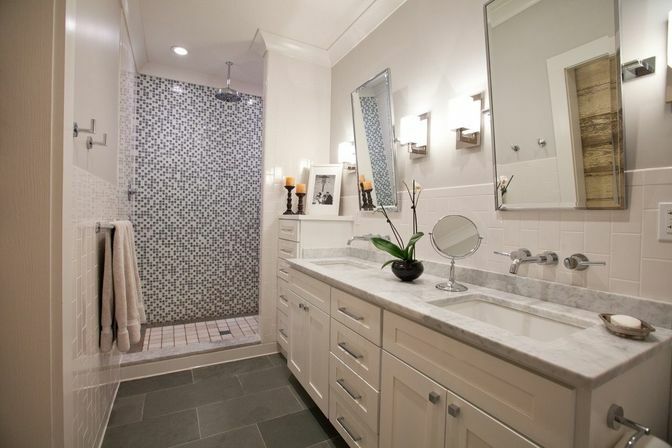 Planning brand new bathroom interior or remodel of an old one, it is very important to consider all interior details. Bathroom is multifunctional room indeed – it combines utilitarian functions as washing clothes, bathing and getting ready with esthetic and emotional role of place for relaxation. Thus, all interior elements should effectively serve these two roles. 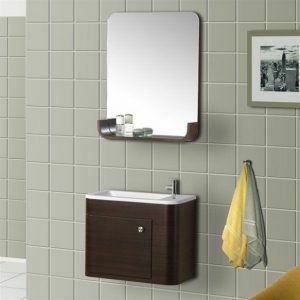 Mirror plays many roles in bathroom interior, being practical and decorative element at the same time. That’s why choosing right mirror for any particular bathroom design is very important task. 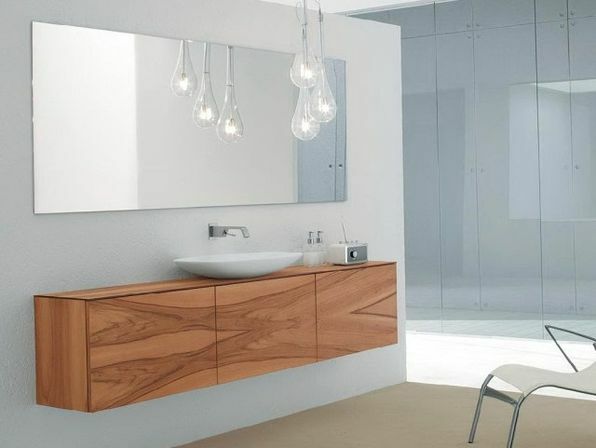 One of important mirror characteristics is its shape – rectangular, square, round, oval, uneven asymmetrical shape and complex shapes. 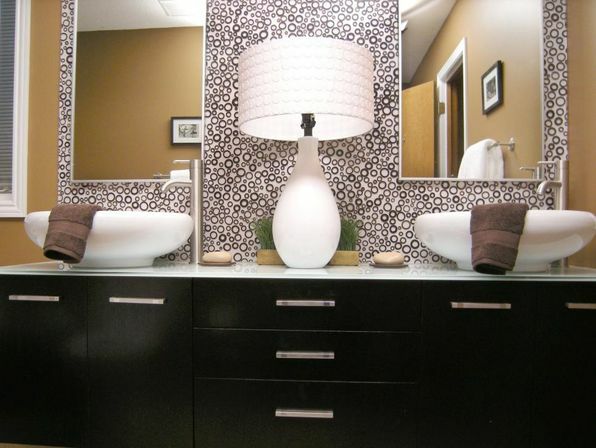 Round bathroom mirrors are among most popular ones, many people prefer them for different reasons. Circle figure means continuum, symbolizing progress and development. Mystical meaning of circle is protection. In any case, this is complete harmonic shape which has a positive perception on subconscious level. Thus, it suits well for creating calm and relaxing atmosphere. Round bathroom mirror does not have sharp edges and its streamlined contour matches perfectly with contours of sink and tub. 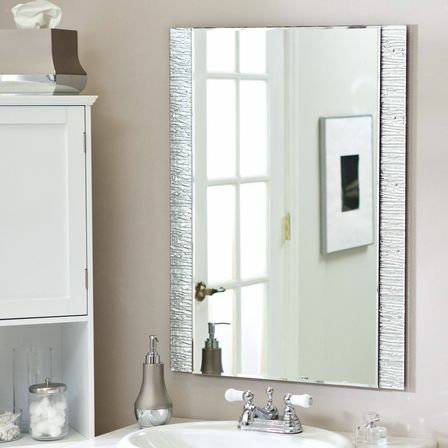 Round mirrors are compact enough for small standard city bathrooms. 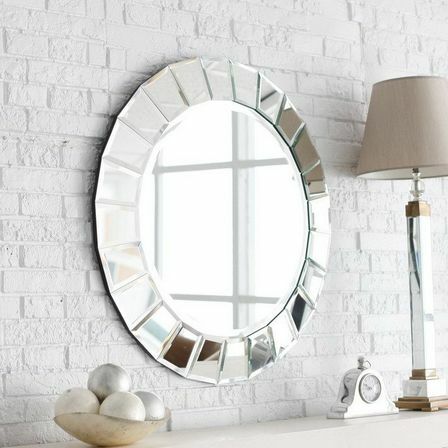 Round mirrors look equally good with and without frame. Round mirrors fit in most any interior scheme: from minimalistic and high-tech to romantic vintage, pomp Victorian or even rustic. 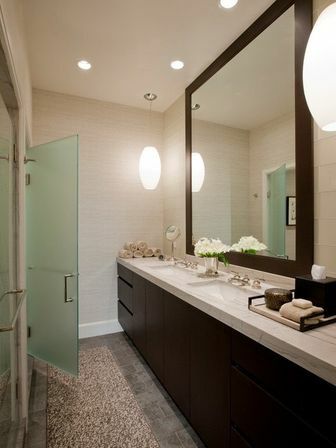 Round bathroom mirrors look great by themselves as well as can be used in combination of several round-shaped mirrors. Round bathroom mirrors find rather wide range of use in bathroom interiors. 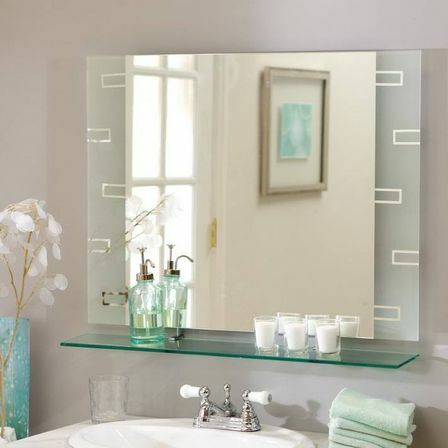 Most of bathroom mirrors can be made in a shape of circle. Cosmetic magnifying mirrors typically have round shape. One of the reasons for that is convenience in turning around mirror’s frame to switch from regular mirror side to magnifying one. Wall bathroom round mirror. Round mirror of different sizes can look good over bathroom sink. Two round mirrors over two sinks look harmonically and complete without contradiction to each other. Size of round wall mirrors depends on size of sink as well as on size of the whole room. Frameless round bathroom mirror. This option is ideal for small bathrooms and minimalistic interiors. Infinite contour, being undefined, visually widens the room. It is by far the best mirror design for high-tech interior. 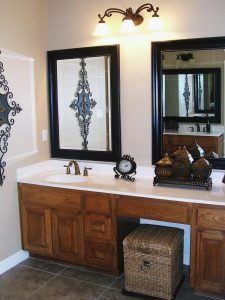 Framed round bathroom mirrors can be fit in various countless styles. Being very neutral and versatile by itself, round bathroom mirror acquires stylistic characteristics of its frame. 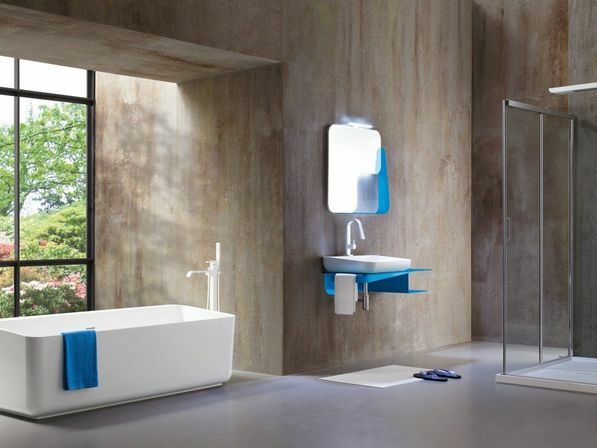 Glass futuristic designed frame – high-tech bathroom interior. Round bathroom mirror with shelves. This is very practical construction – shelf allows storing some toiletries in order. Even round form makes symmetrical and asymmetrical layout of complex shelves system look equally good. Frameless round mirror with shelf or shelves will look most flattering for interior, bringing into room lightness and space. Round bathroom mirror with lights. In modern interiors LED lighting round mirror will fit perfectly. LED strip secured round mirror’s perimeter is optimal choice. Backlit round mirror with floating effect would give a room extra volume. 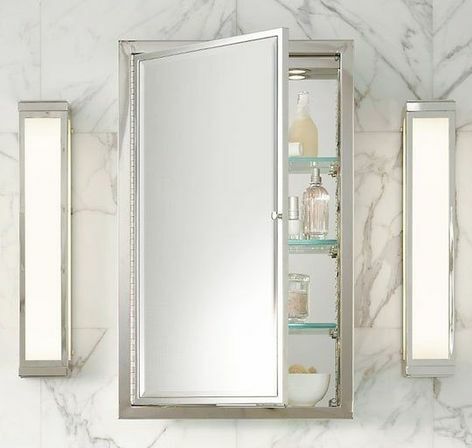 In case of classic or retro interiors elegant lighting fixtures, placed right above mirror in the centre, or two sconces on each side of the mirror would be more appropriate. Round mirror bathroom cabinet is a good combination of reflecting and storing functions in one piece of furniture. 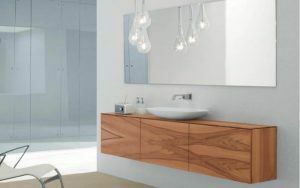 Though the most typical shape for bathroom mirror cabinets is rectangular, round cabinet can be an alternative option. Bathroom cabinet allows storing various detergents, cosmetics and other bathroom necessities on its inner shelves. 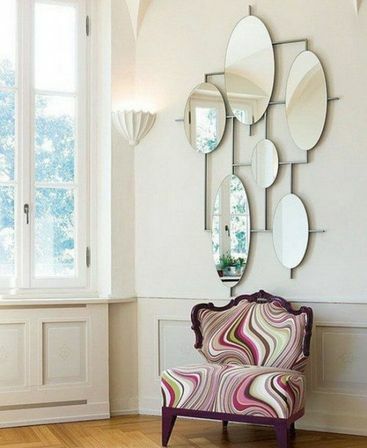 Round mirrors can be creatively played around in many ways. Combination of round frameless mirrors of different sizes can look interesting and very modern. Round mirrors look as if they were created for marine theme. Their look remind of ship’s portholes. This resemblance can be enhanced by frame of white or blue colors in white-and-blue marine inspired bathroom. Other variations – frame, made of rope or in shape of ship’s steering wheel.